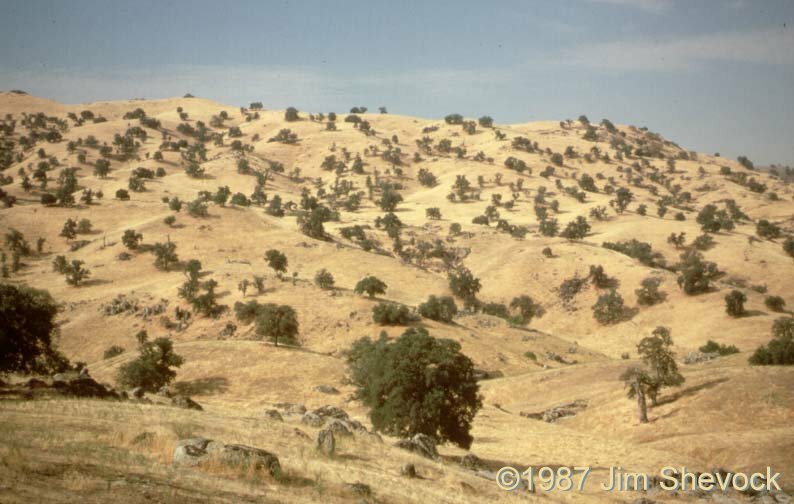 Photo: Blue Oak Savannah, near White River, California. Carl Purpus, Plant Collector in Western America Blue Oak Savannah, near White River, California. Blue Oak Savannah along M-109, near White River, California. Photo by Jim Shevock. White River, Tulare County, California.